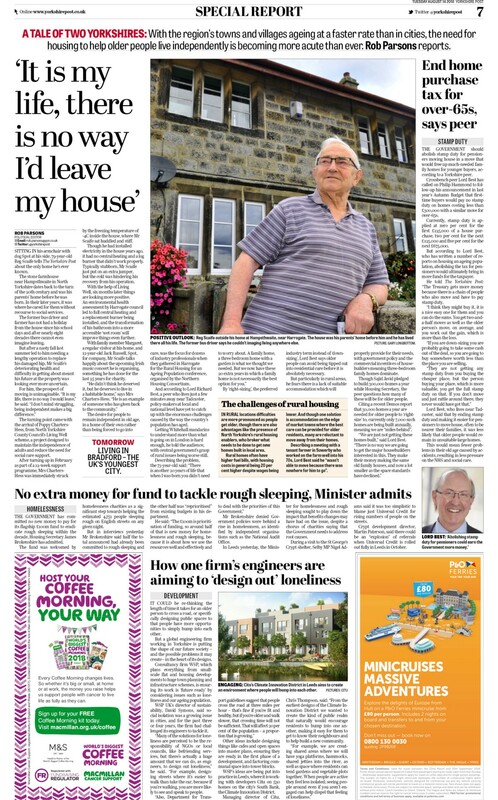 Quite simply, Yorkshire is getting older; people are living longer and the Broad Acres offer myriad compelling reasons for people to spend their twilight years here. With that comes a range of complex issues which we sought to analyse, understand and articulate back to our readers. Complex enough to warrant a full week of content? Do people have to the time to read all of that? Is there still a place for it in the local press? Well, yes. More than complex enough to run all week. Yorkshire is a big old place; the biggest of all the counties — population, 5.2m — home to some of the most beautiful villages and hamlets in the country, as well as some of the most complex and dynamic cities in the world. Understanding quite why the areas outside of those cities are losing talented young people hand-over-fist, never to return, and gaining elderly people at an equally exponential rate was a significant undertaking that continuously threw up fascinating issues which then required journalism to distil. That takes time, effort and skill and cannot then be boiled down into a tweet. Do people still have time to read long and detailed journalism? I certainly hope so. It’s a complex world we live in, so if we are going to understand it then people are going to have to spend time studying it. 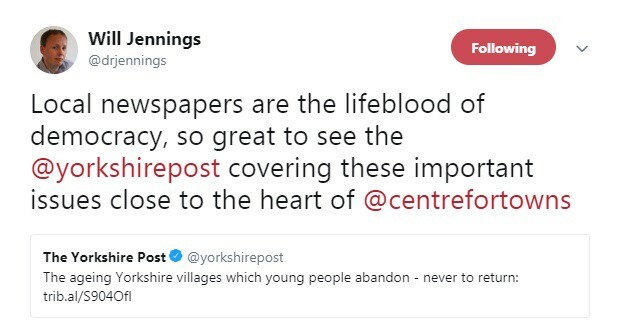 I’d like to think that those who buy Yorkshire’s National Newspaper cherish our longform broadsheet journalism and see it as something which sets us apart from other places. What made you put such a large amount of effort and resource into something which, on the face of it, doesn’t look like the kind of content that will generate large amounts of page views? 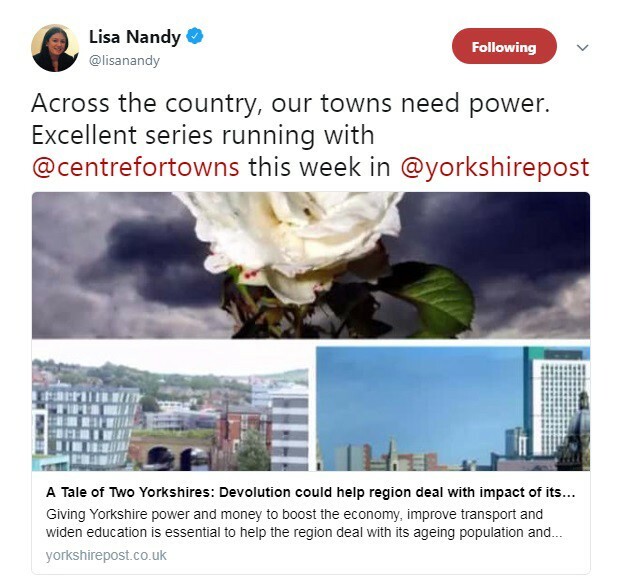 Two things: firstly a piece of work by a leading think-tank chimed squarely with one of our core campaigns, that for devolution to Yorkshire. 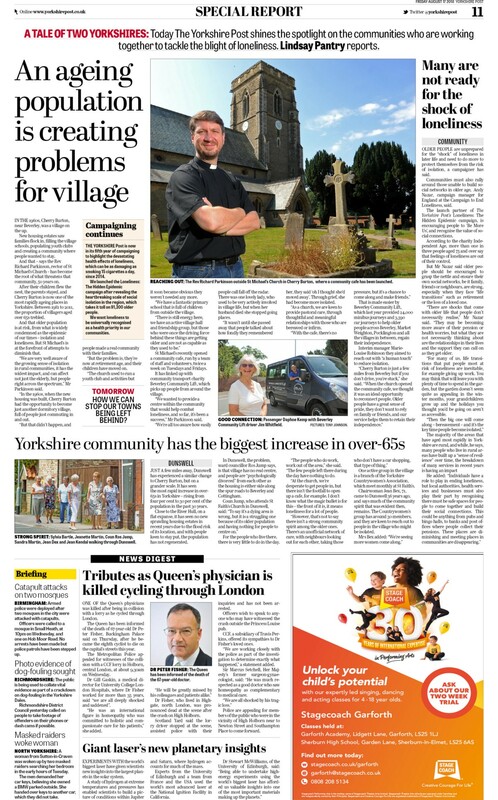 Working closely with the Centre For Towns, we identified that the scores of towns, villages and hamlets Yorkshire is blessed with will see increasing pressure put on certain types of services as projections show the number of over-65s living in more rural communities will rise by 42 per cent to 1.2m. Why does that matter? Because the Government is currently wedded to the idea that devolution has to go to cities and city regions only. 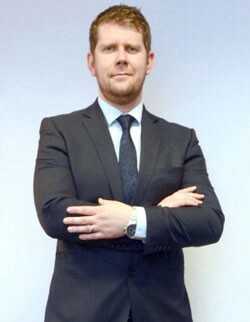 Yorkshire’s ageing population is not just about the county’s changing demographics, it is also fundamental to social policy and type of society that this country aspires to be in the future…these findings give further credence to One Yorkshire and the importance of a countywide devolution deal. For, given that this issue is impacting upon every community, it’s all the more reason for there to be a body in place that can take account of the current and future needs of all residents. Secondly, high quality public interest journalism is not necessarily all about driving page views. 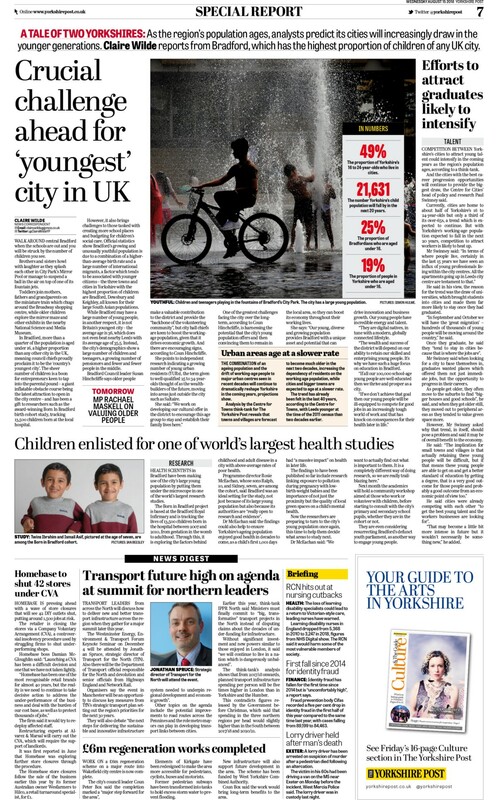 Don’t get me wrong, we know how to do that — in the second half of 2017 www.yorkshirepost.co.uk was the fastest-growing audited large regional news site in the UK — but the seven week-long specials we have put together have been more about giving our readers the very best journalism in the best interests of the communities we serve. That’s why we exist and why we’ll remain relevant enough for our readers to want to preserve and protect that which we do. If we lose sight of that in the hunt for clicks, we’re already extinct. What else have you covered across a full week like this? 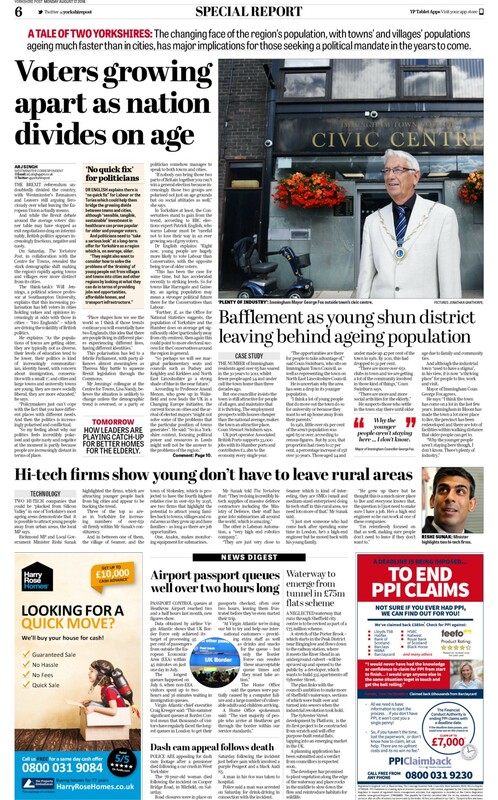 A: We’ve looked at fracking, Yorkshire’s coastline, the Dales (in crisis), the NHS at 70, rural crime and now this; Yorkshire’s ageing population. That sounds like it requires an awful lot of time, effort and resource…? It does! Good journalism takes all of those things. Forgive me for going all David Brent on you but I believe journalism like this requires the three ts: talent, tenacity and time. 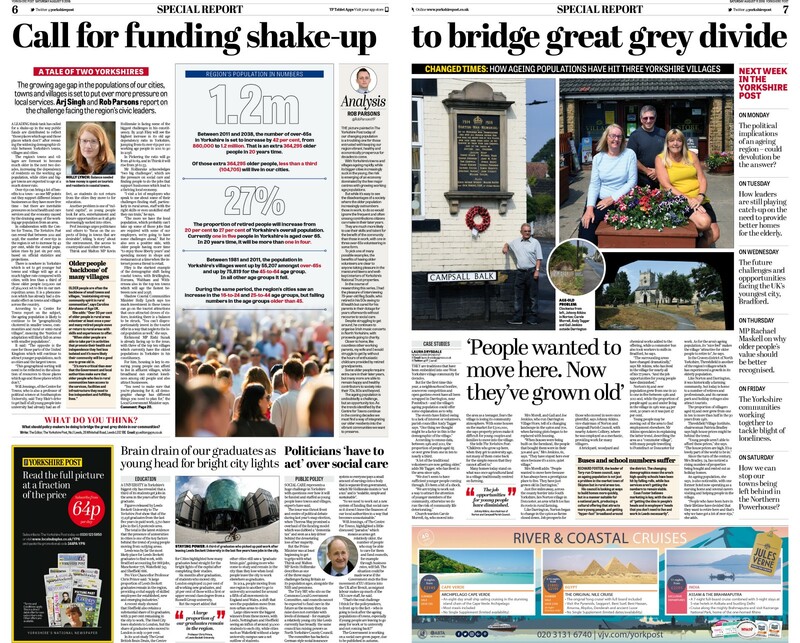 I’m fortunate to have been backed by Johnston Press to install my own cover price strategy — going up 30p on a Saturday, our biggest sales day, is previously unprecedented — which has enabled us to invest in a strong team of specialists (some promoted internally, some poached from the likes of Press Association and some from our regional competitors) as well as the wider newsroom. I’m grateful to the senior executive team for their backing and support in this as without it, some of that which we’ve delivered this year would not have been possible, and I’m infinitely more grateful to the team I’m fortunate enough to edit. 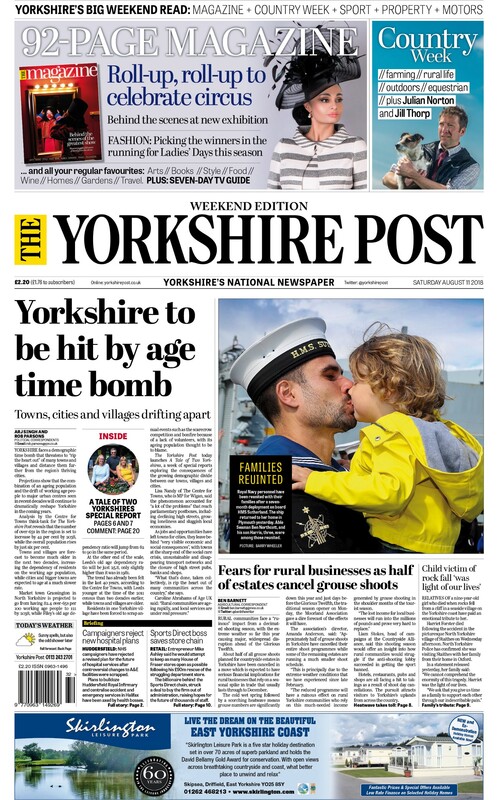 They deliver day in day out some of the best work in the industry, full stop, and as a result Yorkshire has what I believe is one of the best regional media services in the UK. Have you had much feedback on the specials? 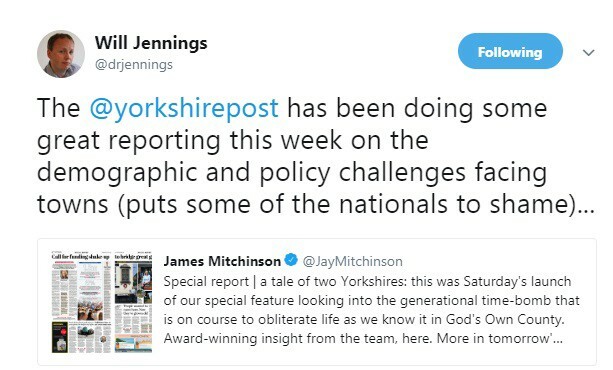 Well, I was delighted when Dr Will Jennings — a professor at Southampton University — said: “The Yorkshire Post has been doing some great reporting this week on the demographic and policy challenges facing towns. It puts some of the nationals to shame. What about feedback from readers? A: We’ve had varying feedback on the week-long specials, from the tsunami of letters that our fracking series generated — so much so that we filled two full broadsheet pages solely with letters about fracking on one particular day — to little notes of thanks for this latest feature. So what’s next for the all week treatment? That would be telling! Truth is, some of these specials have been editor’s whims — my whims — and some have come from the team. We try to react to the mood of the county and our readers so the next special may not necessarily be planned at all. We are, however, currently harvesting data, case studies and such to serve up a proper look under the bonnet of independent retailing around the county in time for the festive shopping season. Some of that will paint a dire picture for certain towns’ high streets but we’ll also shine a light on how places like Malton, for example, are adapting and thriving. Watch this space.